Working with the über small team (during the construction phase there were just three of us!) that rebuilt the Center for Neighborhood Technology website from scratch gave me my first taste of HTML and CSS. The website you're looking at now is my biggest solo web project so far. Figuring out how to custom code some of the elements was unexpectedly exhilarating, so I'm starting to dig deeper into the world of coding. One afternoon in Chicago, I stumbled on the Chicago Public Library's Maker Lab. 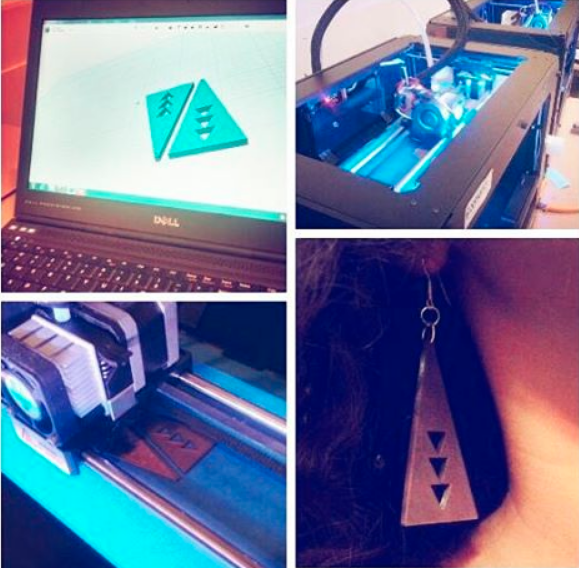 I began taking their free Tinkercad and 123D Design workshops and quickly became obsessed. Thankfully, Helsinki has some great 3D printing resources, so I can keep on learning. I think we could build something great.